Visit us at INTERCLIMA 2015 ! Chillventa 2014 : a successfull exhibition for airconditioning with no unit outdoors ! 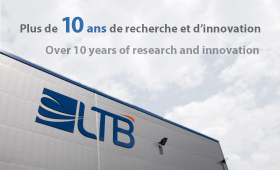 LTB will be closed from the 20th of December until the 5th of January. We look forward to starting a new year together, and wish you a happy festive season ! Come and visit us at Chillventa ! LTB wishes you all the best for 2014 ! LTB will exhibit at CHILLVENTA in Nurnberg, Germany in October 2012 ! As for the previous editions, LTB will be taking part in Chillventa’s international trade fair for refrigeration, air conditioning, ventilation and heat pumps. To receive your free invitation, please click here to contact us by email. We will be delighted to welcome you on our stand 127, hall 7 to present our products !